The weeks of preparation, the giddy anticipation, and the countless dresses and accessories tossed aside in favor of yet another one – all that for a show that lasts between five and ten minutes. And that’s just for the guests. "What to wear?" A routine question that we ask ourselves on a daily basis – at least I do! – takes on a whole new meaning when one is attending a fashion show at any of the major fashion weeks: NYC, London, Milan, and Paris. So many editorials are dedicated to this subject, with curated fashion spreads for each of the cities that try to encapsulate the DNA of the venue. Needless to say, that’s the first question I ask myself once I know I’m attending a particular show. But sometimes even the best-laid plans go awry, or in fashion terms, a faux pas. 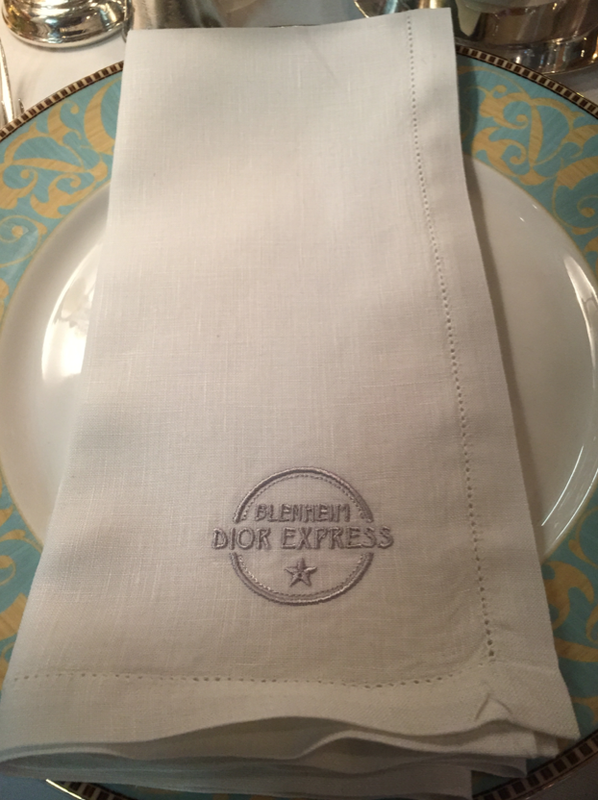 This happened to me in May 2016 when I attended the Dior Cruise show at the Blenheim Palace – a spectacular experience that started with a ride aboard the Orient Express, which was temporarily renamed ‘Blenheim Dior Express’ for the occasion, and transformed in painstaking detail from the uniforms that the porters wore to the napkins at the dining car embroidered with the Dior logo. 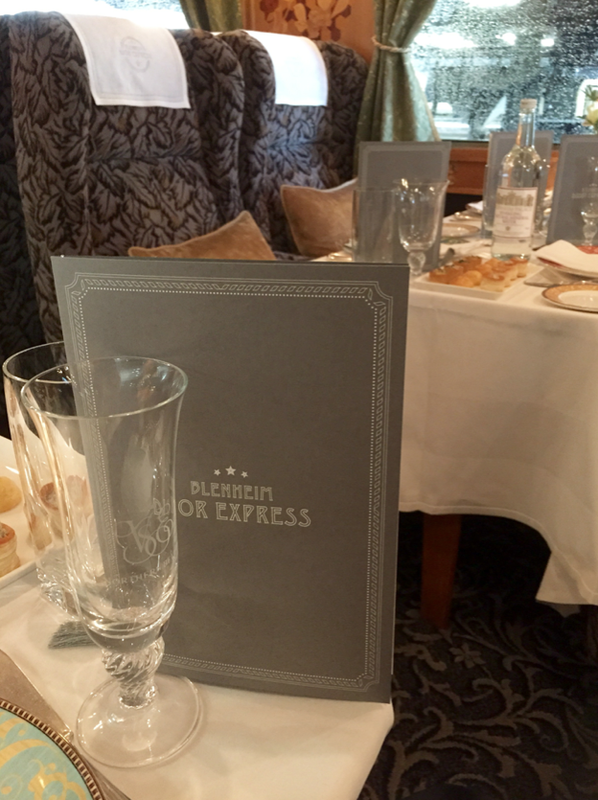 The efforts certainly set the mood of a bygone era, transporting guests to the old world of luxury train travel, all in anticipation of the show at a historical venue –the Blenheim Palace – where Monsieur Dior first showed a collection in 1954, followed by his successor, Yves Saint Laurent in 1958. 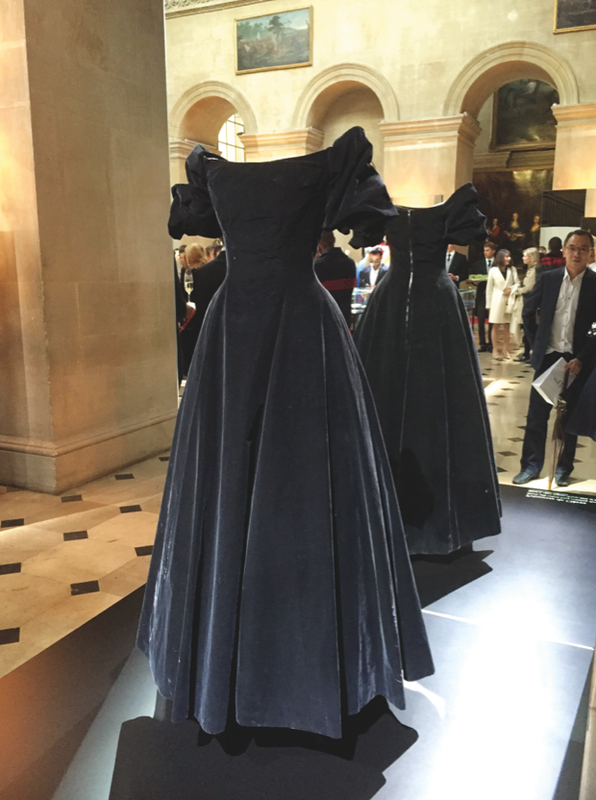 Giddy with all the historical facts, I had the ‘brilliant’ idea of referencing the back-story and drawing inspiration from the venue, which called for an outfit that harked back to classic Dior, with the signature “New Look” silhouette of a cinched waist and a full skirt. Typically, if one were invited to the fashion show by the fashion house, it is de rigueur to wear an outfit from the brand, preferably from head to toe. So while that makes the selection process easier, as the options are narrowed down to just one brand, one runs the risk of turning up in a same outfit as other guests. Especially since most guests will choose an outfit from the latest collection, and earn more ‘fashion points’ if you can score an outfit that is not even out in the stores yet—which is what the more prominent bloggers or ‘influencers’ get to wear. With that knowledge in mind, I thought I’ll be in ‘safe zone’ by picking an outfit that is part of a heritage collection, meaning it’s not ‘of the season’ as its not a runway piece, but rather it’s a classic piece that is evergreen. Plus, it has a vintage look to it, which I thought will be perfect for the venue. 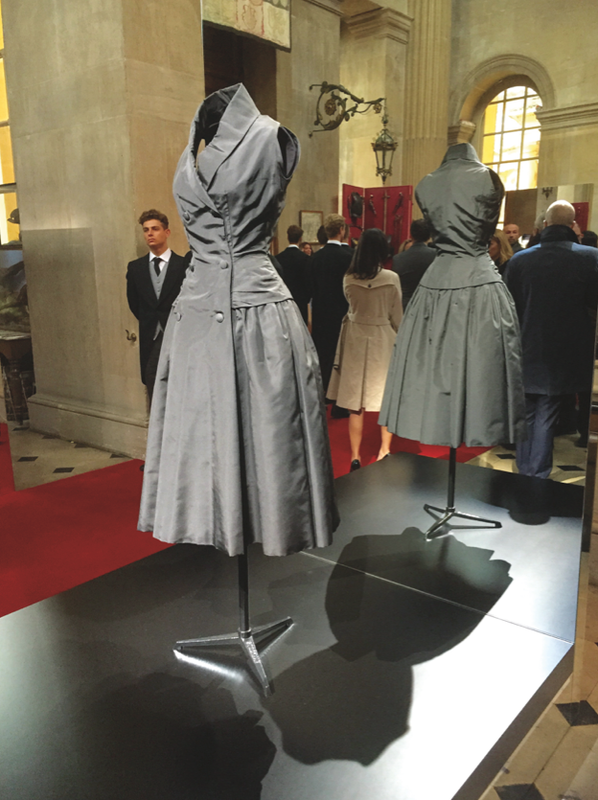 In fact, there was a small exhibition of the pieces from the collections shown at Blenheim in 1954 and 1958, and as I stood looking at the exhibits, a fellow guest remarked that my dress looked like it could be “part of the exhibition”, which I hoped was meant to be a compliment. I guess great minds think alike, and it’s only a matter of time before someone else will have the same ‘brilliant’ idea of what to wear to the Blenheim Palace show. Lo and behold, that same person showed up right next to me! Not only did we have the same brilliant idea of choosing the exact same dress in the exact same color (it came in four colors, by the way), the fashion universe had the brilliant idea of seating us next to each other! Talk about faux pas! We both laughed it off and gamely took the opportunity to have our photo taken. I asked her companion, who turned out to be a mega-celebrity in Thailand, to do so for us. It must have been the first time she was asked to take a photo of, instead of with! I should have known better that she’s a celebrity – fashion shows are all about having celebrities grace the event, from movie stars to media honchos, main buyers for major retail stores like Neiman Marcus, as well as editors from all over the world. Fashion shows tend to start ‘fashionably late’, which gives one the opportunity to ogle celebrities and check out what everyone else is wearing. Of course there will be hundreds of photographers around. 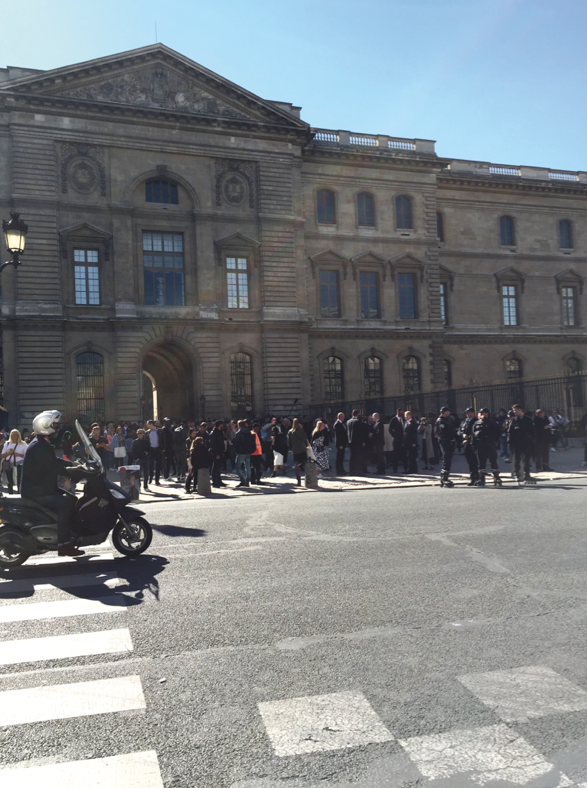 At the Paris Dior show, which I attended in October 2015, the scene outside the venue, the Louvre, was chaotic! There was a swarm of paparazzi and curious bystanders, waiting to catch a glimpse of the celebrities and social media stars. The biggest star of that day was Rihanna, and her arrival caused much frenzy. 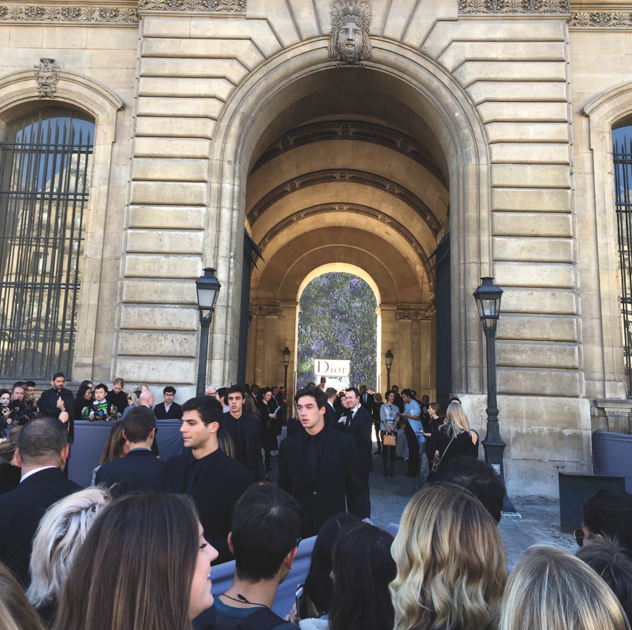 Even in the following day, news of Rihanna visiting the flagship store on Avenue Montaigne caused quite a commotion with a large crowd gathering outside the main entrance. Such is the scene during fashion week, especially Paris fashion week, where it's not surprising to bump into celebrities, particularly at high profile spots like L’Avenue Restaurant, Montaigne Market boutique (which stays open on Sunday only during fashion week), Plaza Anthenee, and George V hotels. In New York, which normally kicks off the fashion shows season, the scene is just as vibrant. There are several parties across town to coincide with fashion week, and celebrities use this as an opportunity to launch new products. For instance, I bumped into Victoria Beckham at her makeup launch event at Bergdorf Goodman in September 2016, during fashion week. It was her first ever makeup collection, and she chose to launch it there. While in Paris, the shows are scattered across town with no fixed location, in New York, most of the shows will be held at the Skylight Clarkson Studio in West Village, or Spring Studios near the Garment District. 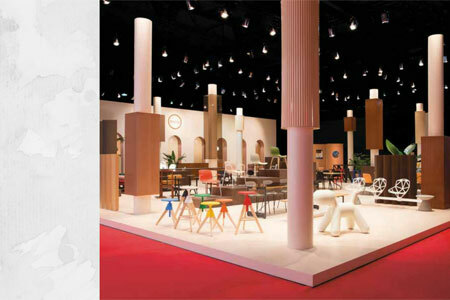 Of course, some brands will choose to show their collections at a different venue, but most of the activities are concentrated at the main studios. 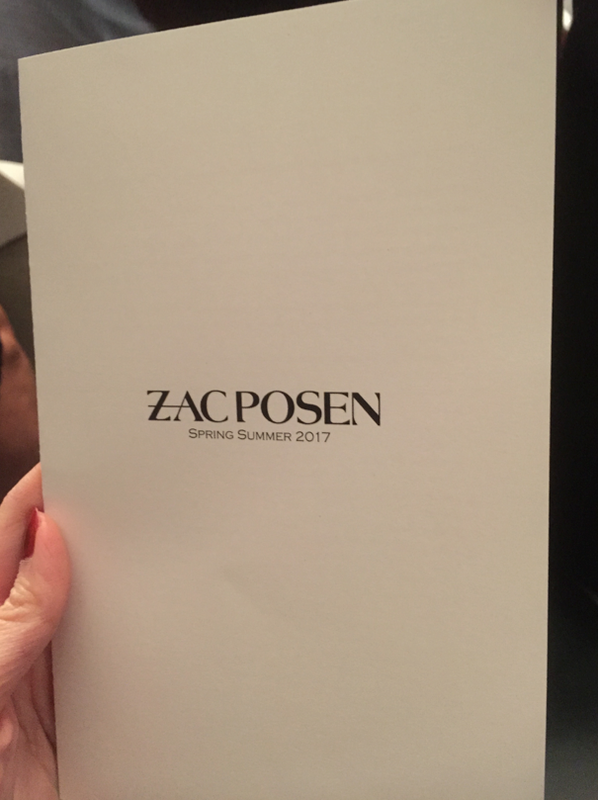 When I attended the Zac Posen show in September 2016, I tried to apply the same ‘dress code’ that I learned from my Paris experience: Wear an outfit from the brand. But that rule does not seem to apply in New York Fashion Week. In fact, it's mostly the celebrity guests who wear the brand to the show, while other guests just wear other brands, albeit still stylish. Guests, I suppose, are invited through various channels (e.g., luxury concierge companies that sell tickets to the shows, including backstage passes) and not always as clients of the brand. 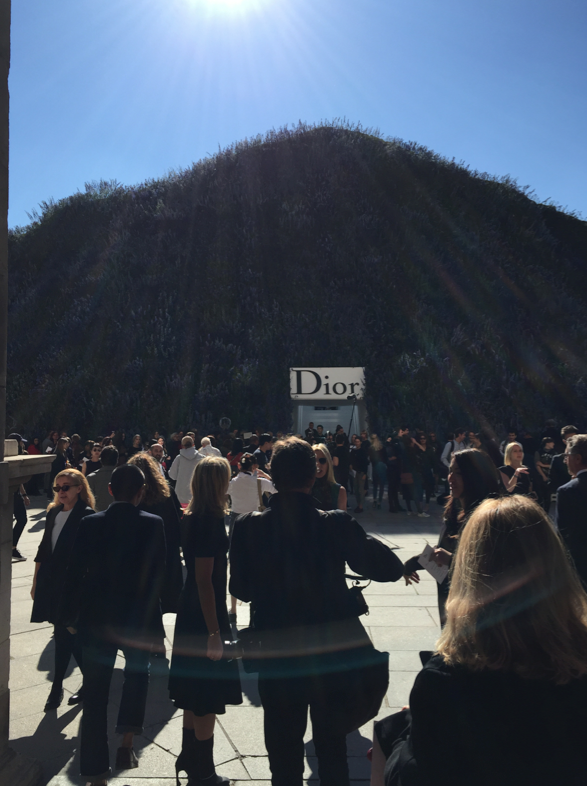 In comparison, at the big shows in Paris, like Dior’s, the house invites the guests directly; hence, there is an unspoken understanding that you should wear a total look from the brand. Besides, most brands that show in NYFW are not big marquee names with standalone boutiques, not even in the country, let alone the world. Other than the big names like Tom Ford, Ralph Lauren, Michael Kors, or Diane Von Furstenburg who have their own boutiques to establish a direct point of sales with customers, most of the other brands are sold via retailers like Neiman Marcus, Barneys, and Intermix, as well as online retailers like Net-a-Porter and Moda Operandi. Hence, it's more a B2B rather than B2C, which means their ‘clients’ are mainly the retailers. 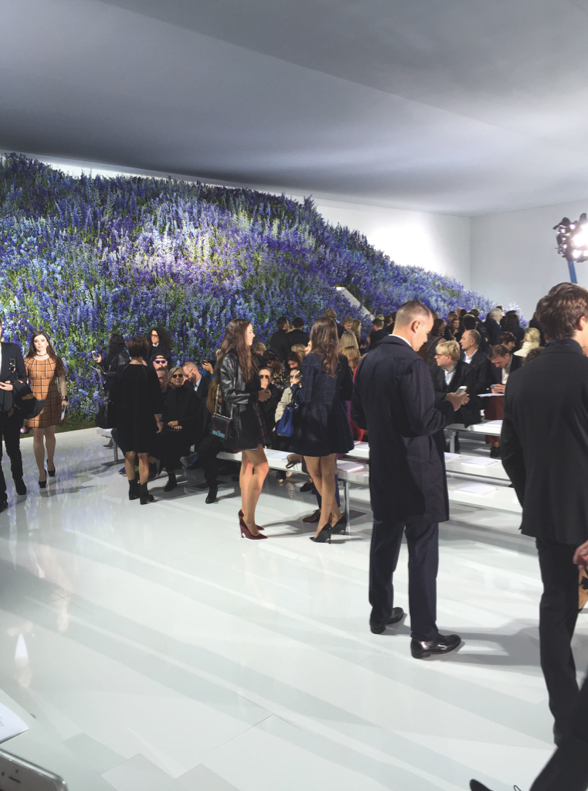 Thus, most of the guests at NYFW are industry people. This year, I happened to be in New York during fashion week, and managed to attend the Marchesa show. 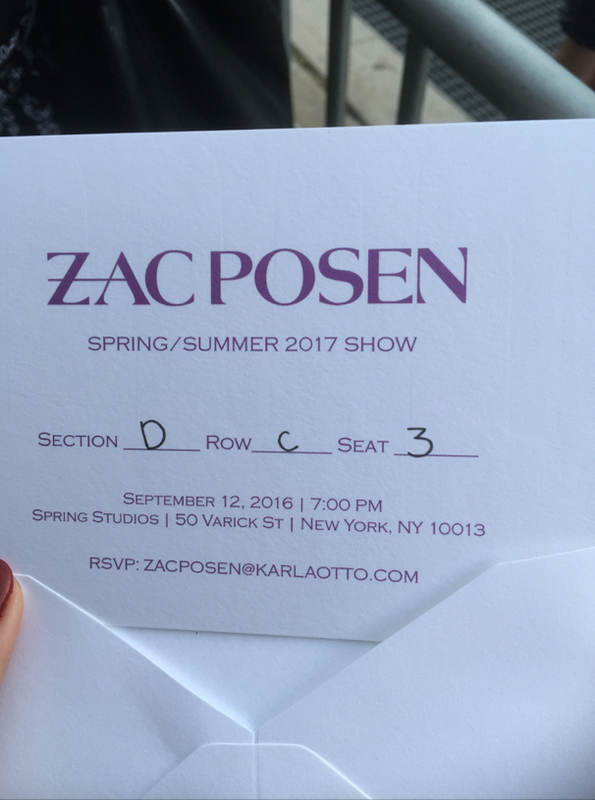 Coincidentally, I bumped into Zac Posen after the show, as he was in attendance too. 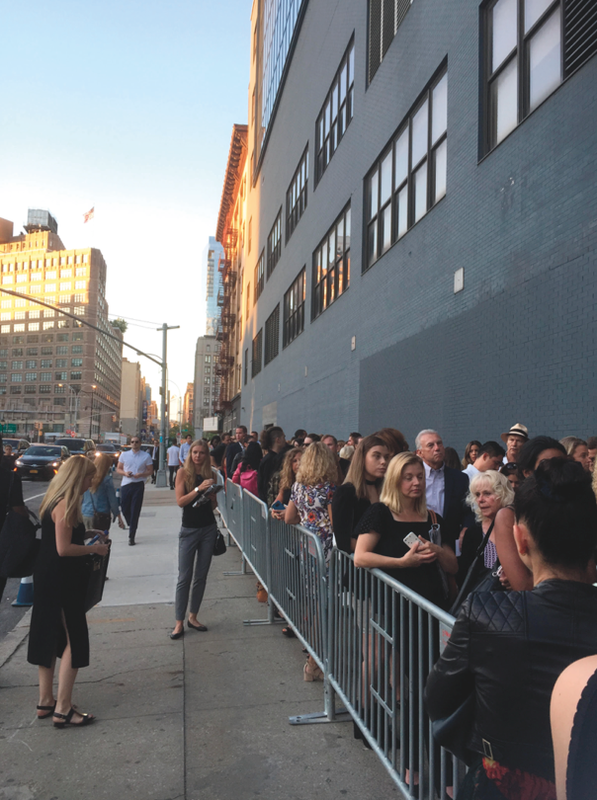 As I made my way to the Marchesa show, traffic was so bad that I thought I would miss it. My Uber driver asked why didn’t I just watch it online. I told him it's not the same. Still not understanding the fuss, he asked how long is the show anyway. I said, about five to 10 minutes. I thought to myself: “Oh, absolutely."